He joins a stellar line-up including Ed Balls, Nick Clegg and Alastair Campbell. Tony Blair is to make an appearance in a special episode of Channel 4′s The Last Leg marking a year since the death of Labour MP Jo Cox. The former prime minister will star in a sketch alongside the show’s Adam Hills, Alex Brooker and Josh Widdicombe as part of The Last Leg: Re-United Kingdom. The two-hour live show will also feature Ed Balls, Michael Gove and a host of other figures from across politics and comedy. 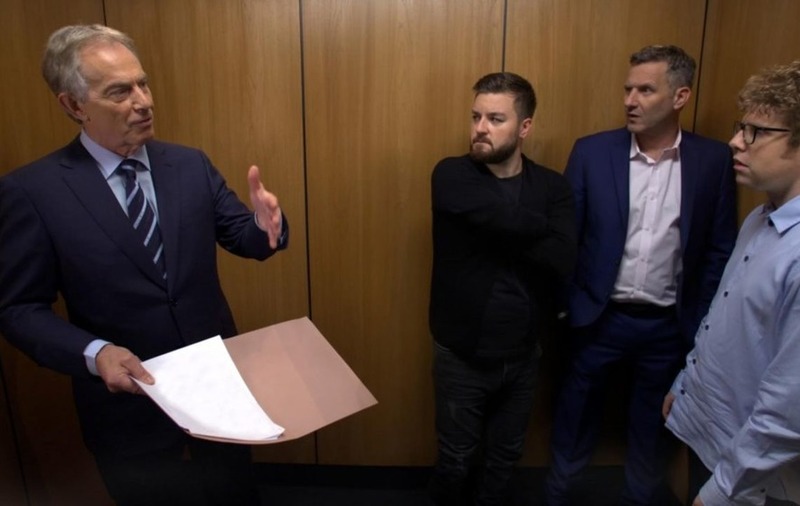 The three hosts will bump into Blair in a lift, where he interrupts their bickering and demands they set aside their differences to celebrate the life of Ms Cox, who was shot and stabbed on June 16 last year by right-wing extremist Thomas Mair. The show will pay tribute to the mother of two with a celebratory event reminding viewers of what unites us rather than divides us. Also appearing in Friday night’s show are Nick Clegg, Alastair Campbell, comedians Jon Richardson and Stephen Mangan, actors James Buckley and Lily Cole and British band Elbow. The live special comes ahead of The Great Get Together this weekend, where thousands of people will gather for small picnics and community events across the UK. The Last Leg: Re-United Kingdom is on Friday at 9pm on Channel 4.